A striking new bicolor echinacea discovered as a natural mutation of Magnus. Green Twister blooms abundantly with horizontally arranged lemon-green petals which transition to light pink and carmine red near the central cone. Flower stems lengthen and thicken after the first year. Gardeners and florists alike will appreciate Green Twister for the easy to blend colors, long, strong stems, and extended vase life. Green Twister echinacea will flower the first year when started early. Growth is robust and uniform, plants grow up to 40 in. tall while blooming from July through September. 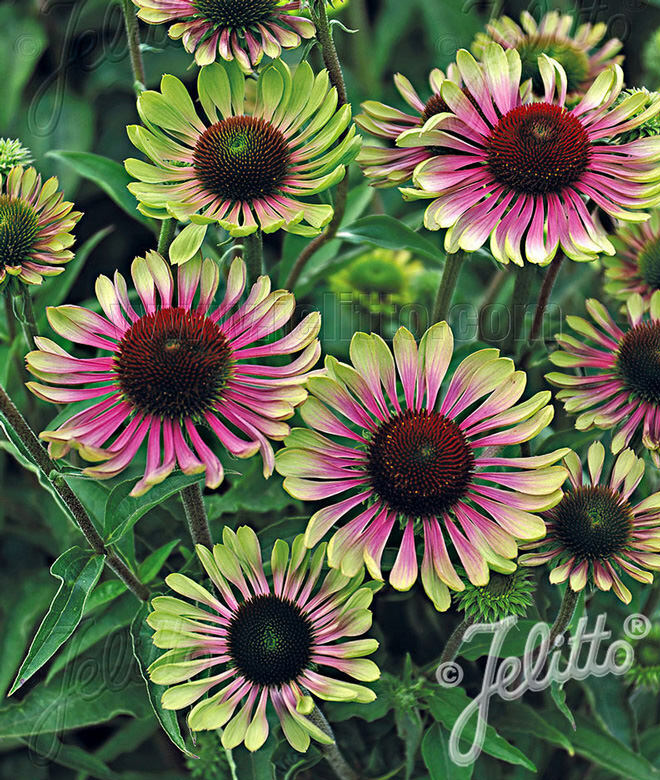 Green Twister is winter hardy to zone 3, and will overwinter more reliably than vegetatively produced echinacea hybrids.